Admirably every idea in this book is presented as the basis for our own improvisation and adaptation. This is an anarchist’s cookbook that rejects conformity while encouraging action, reflection and participation. An omnivore such as myself finds a stricter gastronomic philosophy herein, but also an invitation to try a diversity of both novel and more familiar animal-free meals. There are instructions for everything from veggie curries and soups to acorn cuisine and leaf curd. As the UN Food and Agriculture Organisation reports that livestock are responsible for 14.5% of man-made greenhouse gas emissions (the same amount produced by all the world’s cars, planes, boats and trains) we all need to take plant-based diets seriously. This book is much more than plant-based recipes though, developing concepts from the author’s previous works, it provides an approachable design guide for personal and local action towards ecologically sound goals. Organised in accordance with the spatial planning method of permaculture zoning, it identifies leverage points for more sustainable living in seven zones of activity. It then provides examples of how the author and others have implemented strategies and techniques in each area. The book is also a new entry in the often hidden history of veganic advocacy for tree-based food production; a tradition that links forester Richard St Barbe Baker, campaigner Kathleen Jannaway and the forest gardener Robert Hart. It’s a utopian vision of abundant perennial polycultures shared by many permaculturists. While the book explores a range of food production scales and methods, it is primarily horticultural rather than agricultural – the work of a gardener and forager, not a farmer. It points usefully towards restorative broadscale practices, the stock-free methods of Iain Tollhurst and the vegan permaculture calculations of Simon Fairlie, but the opportunity remains for a comprehensive work on a regenerative veganic agriculture. Illustrated throughout by the author, it’s a pleasure to read and easy to refer back to. It will happily find a place on your bookshelf or kitchen worktop. Both inspirational and practical, this book offers us an edible pathway to an ethical and tasty future. The fruit of decades of earthright living, its presentation of a low-impact delicious diet is relevant to all diners and might inform every plate we eat. James Piers Taylor is a trustee of the Permaculture Association (Britain). 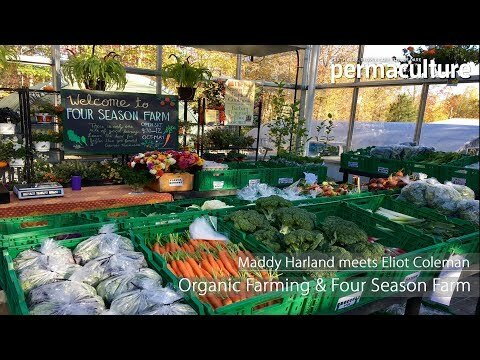 Want to learn more about Permaculture? You can read a free copy of Permaculture magazine online by clicking HERE. You can subscribe to our digital issue for just £2.75 ($2.99) a quarter. A digital subscription also enables you to read and search our back issues but if you like the lovely paper edition please see SUBSCRIBE. Paper subscribers get our digital services free of charge!